How many times have you been making dinner and thought, “This would be even better with chicken”? Unfortunately, this has happened to me more often than I would like. That is why I have started keeping some shredded chicken on hand. 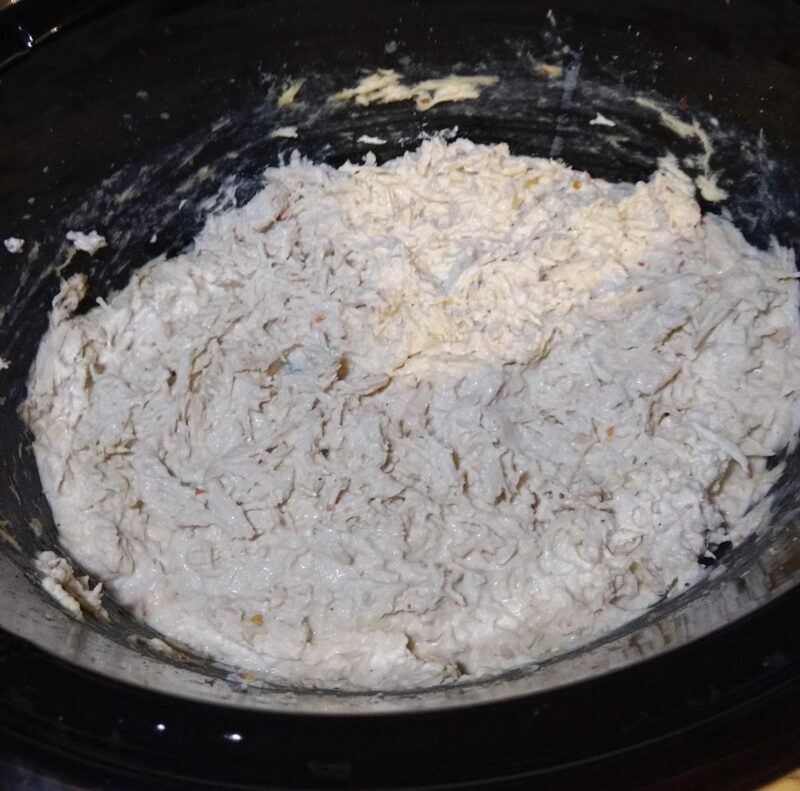 This recipe for slow cooker shredded chicken is so versatile and super easy. I’ve used this shredded chicken in lots of recipes, including my Baked Chicken Taquitos and my Italian Pesto Sliders. Below is the filling for my Green Chili Chicken Enchiladas and is how it looks when adding cream cheese and cutting back on the broth. Check out the Additional Recipes section below for different variations and ways to use this versatile shredded chicken. If frozen, thaw chicken breasts first. Take chicken out of broth and shred with two forks or a hand blender. For any recipe that cuts back on the amount of broth, leave the chicken in the broth (and whatever else you add!) when you shred it. This is best done with a hand blender, as it will mix all the ingredients together too! Cut back broth to 1/4 cup. Add ½ block of cream cheese (4 oz.) and taco seasonings. Add Italian seasoning in slow cooker before cooking. Leave out chicken broth, but make sure the buffalo sauce is fully covering the chicken breasts to keep them from drying out. If you want to shred the chicken in the slow cooker, you can take out some broth before shredding to make sure it’s not soupy. If adding cream cheese, only use 1/4 cup of broth unless otherwise noted. I’ve heard that you can put the chicken in the slow cooker frozen. I haven’t personally tried it, but if you do make sure to adjust cooking times! I’m still learning, but this recipe is so easy that I don’t have to worry about messing it up. 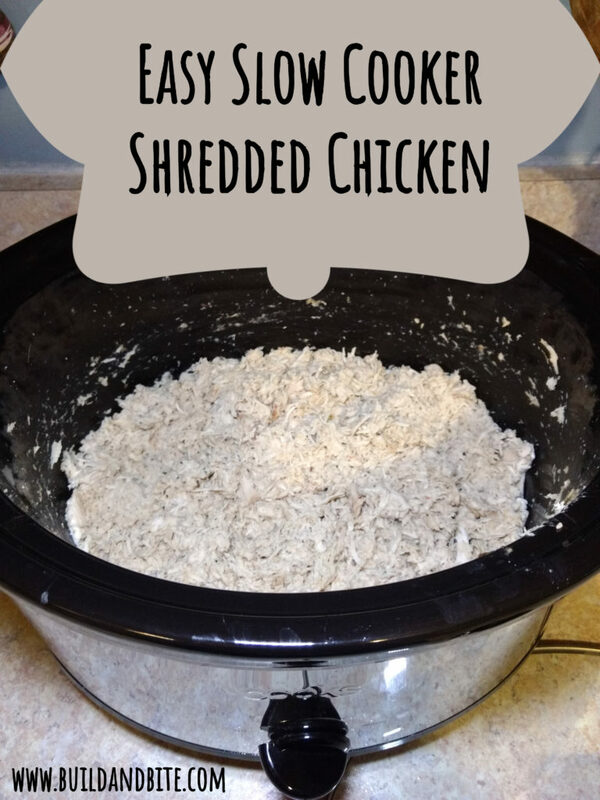 Get creative and tell me in the comments what you’re using your shredded chicken for.